The EIB has been selected as the runner-up in the “Investor” category of The Circulars 2019, the world’s premier circular economy award program organized by the World Economic Forum and the Forum of Young Global Leaders. The European Parliament has voted on 17 January 2019 in favour of two reports on the EIBs annual activities. In 2009, Philippine consumers were spending a large portion of their household income on energy. The country's electricity tariffs were among the highest in the region. What works for whom? Is the right thing being done? Is it being done well? Are there better ways of doing it? Evaluation tackles all these questions as well as how and why results are as they are. 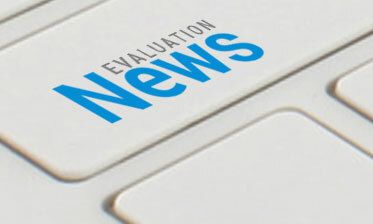 ONGOING EVALUATION.¬†The Annual Evaluation Review (AER) is one of the flagship reports of the Asian¬†Development Bank's (ADB's) Independent Evaluation Department (IED). Opening remarks by ADB Vice-President Bambang Susantono at the Impact Evaluation for Development Effectiveness held 10 November 2015 in the ADB Headquarters, Manila, Philippines. Countries increasingly see the value of investing in development programmes that promise social outcomes beyond what economic growth can deliver. The rapid growth in much of developing Asia has reduced income poverty and moved many countries to middle-income status.